Today we are reviewing Fitch Bedding. Produced from high grade food paper. Roughly stamp size pieces; 15mm-20mm. Suitable for horses, poultry and all small pets. 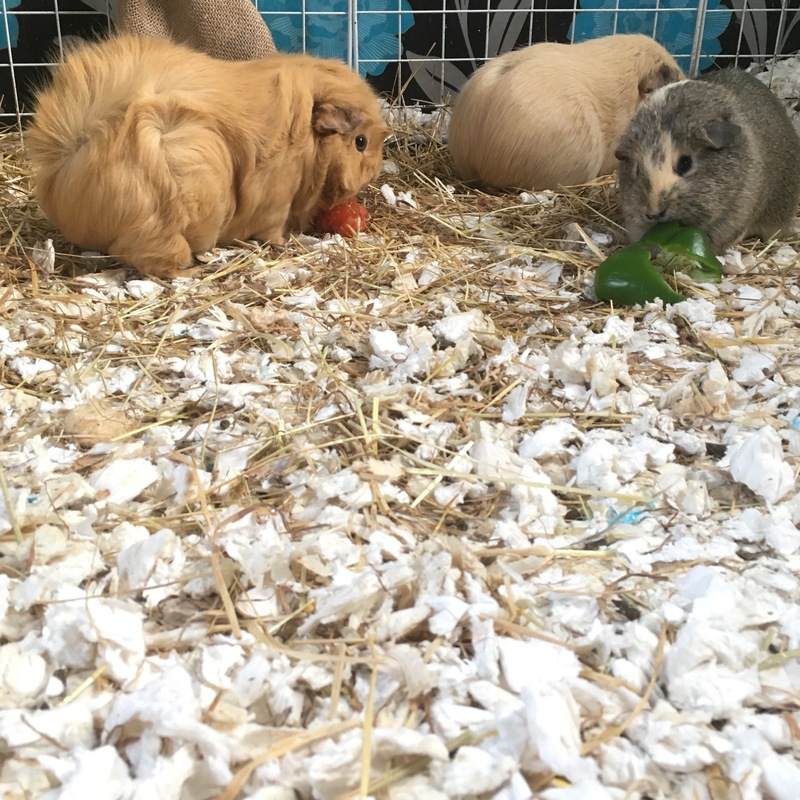 We covered the entire Girly Fluff Herd’s cage (15 pigs) and the boys’ cage (2 pigs) with Fitch Bedding and were left with two carrier bags full left. The first thing I noticed about Fitch is that it is really soft and very white. The Squidgypigs found it very soft and cuddly to lay on, which was lovely to see as the shavings we have been using lately simply do not inspire feelings of comfort. Fitch fresh out-of-the-bag has absolutely no smell to it, which is great as some similar products can have a somewhat musty aroma. There is a very slight dustiness involved in manipulating large quantities, tiny paper fibres were visible in the air, however I didn’t find these to be hazardous in any way. After the initial mass had settled I didn’t see any of the dust again even when some of the Squidgypigs decided to burrow into it. I didn’t expect them to do this! 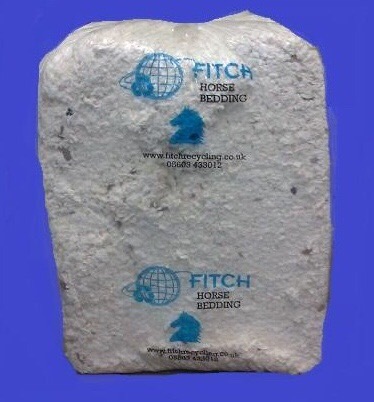 Fitch Bedding is undoubtably VERY absorbent; and pig pee is instantly absorbed into the fluffy white pieces. Gravity then pulls the liquid down to the bottom layer allowing the top layer to dry. 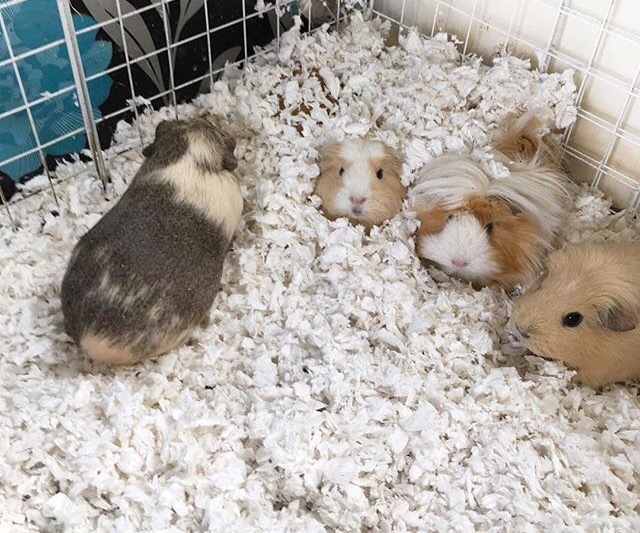 The result being; if your piggies then lay down in the exact same patch, they are not laying in a wet pool. Of course in theory shavings also do this, but the Fitch is definitely more successful in this action. The bottom layer takes on a sort of damp papier-mâché texture which is easy to scoop away during cleaning. There is however some staining of the top layer involved in the process. …or the brown/yellow patches will annoy you and make you ever-so-slightly paranoid that your piggies are ill everytime you find a patch of pink piddle (carrot and beetroot can do this). The colourful world of pig pee. 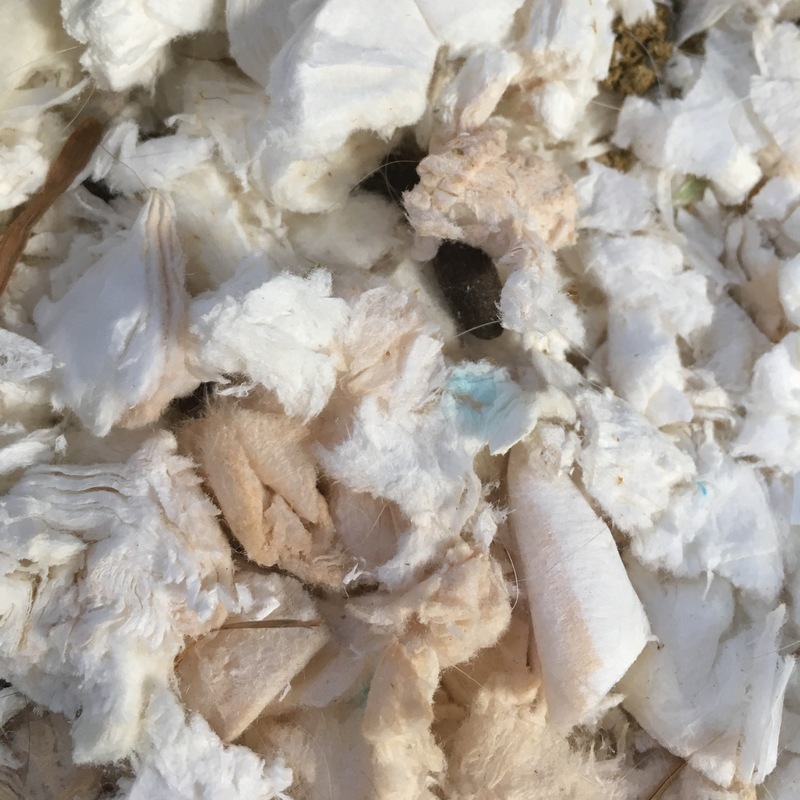 Unlike pee; poop and hay lays on top of the Fitch meaning that you either have to leave it there, spot clean or completely remove the bedding every couple of days and replace with new. 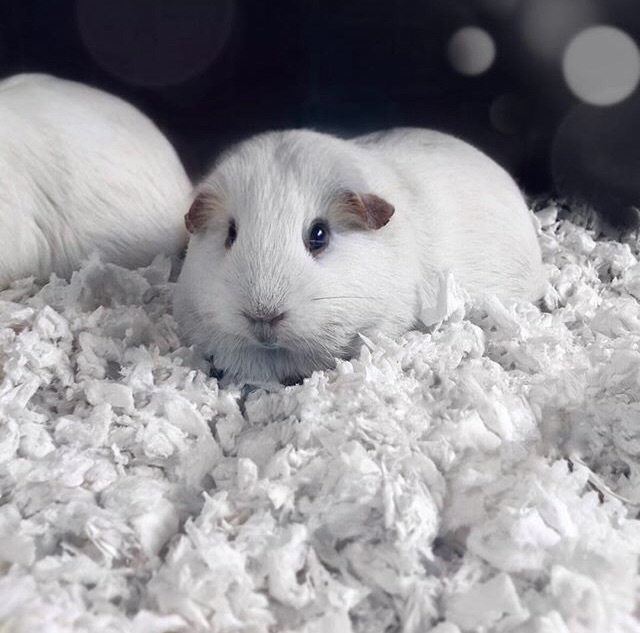 Although I imagine it would be easy to shovel out large amounts of horse poop; the small size of Guinea Pig poop makes things more problematic. Fitch is surprisingly good at keeping odors at bay, even in the smelly boy cage. 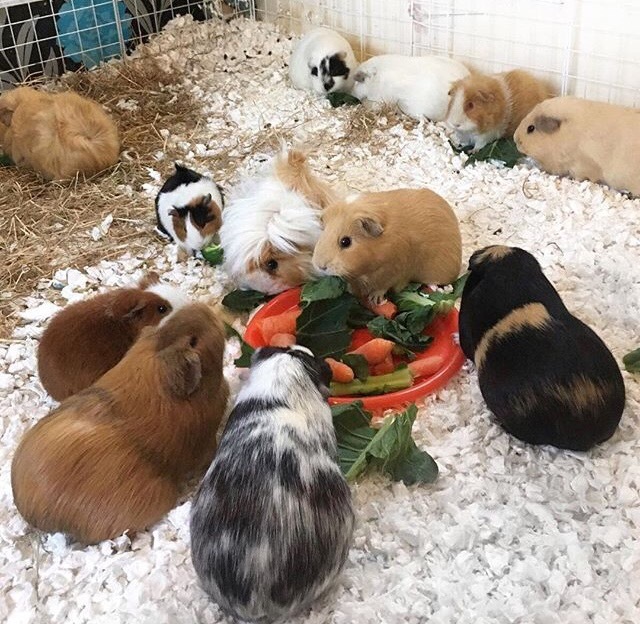 I think if I had a single pair of Guinea Pigs in a standard 120cm cage I would happily completely empty and replace the Fitch every few days to keep them fresh and comfy. The 20kg bale would also last a long time. Unfortunately this isn’t really practical nor cost effective in such a large cage as ours, so compromises have to be made. I’ve made the Fitch last nearly a whole week by removing large wet or intensely soiled areas and replacing with fresh bedding. I am however now running very low on Fitch and sadly simply do not find £20 a week on bedding affordable. I could (but wouldn’t) buy and throw away fleeces for cheaper. Part of our Girly Fluff Herd. Fitch is quite excellent at what it does, sadly it’s just not for us at the moment. Have you tried Fitch Bedding? Let us know what you thought of it below. I use fleece on the main part of the cage (4×4) and then have fitch bedding in a 2×2 section. The pigs use this area most often to pee and poop. By only using on such a small area the bags lasted ages and I love it!